I have made this card twice, one version for my nan and one for my dad. It is made using the PTI Christmas Label die which has been stamped with the corresponding stamp in VersaMark ink on to PTI Pure Poppy CS. The next layer is another of the stamps stamped in VersaMark on to PTI New Leaf CS and cut out with scissors; this has been added to the red layer with 3d adhesive squares. 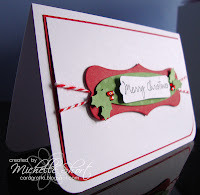 The next layer is the greeting from the CC Designs Amy R Christmas Words set stamped on to PTI Stampers Select White CS and punched out using the SU! Modern Label punch and added to the layers with 3d foam pads. I have then punched out the holly leaves using an EK Success punch in the same New Leaf CS. I have added Papermania gems as the berries. This has then been added to a layer of white CS wrapped with Doodlebug Twine and then layered with more Pure Poppy CS followed by a white card blank. WOW! 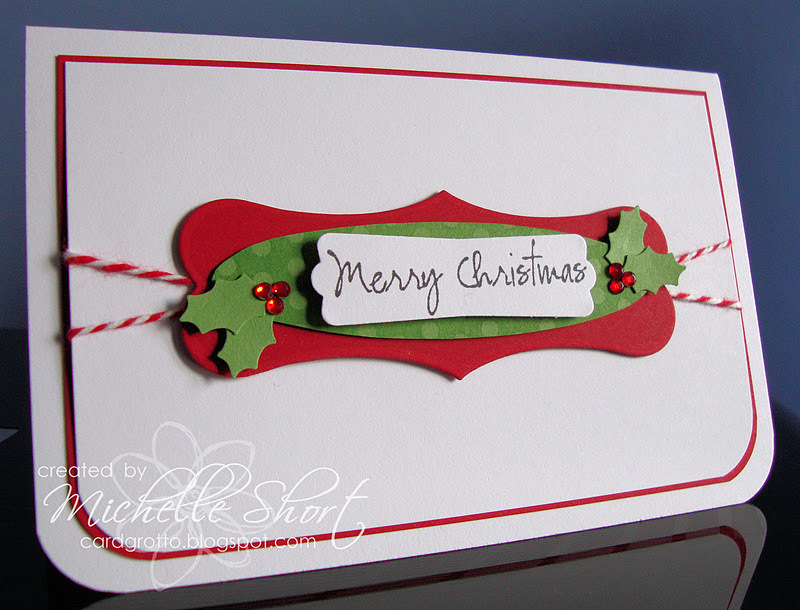 lots of layers there but still a simple card! 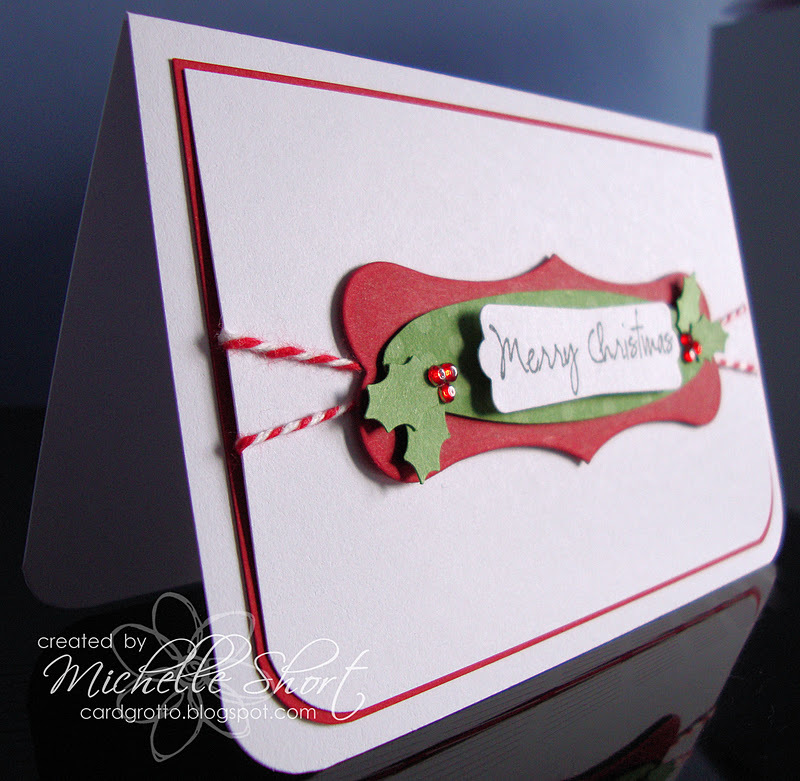 STAMPS: CC Designs, Papertrey Ink. INK: Memento Tuxedo Black, VersaMark. CS: Papertrey Ink. 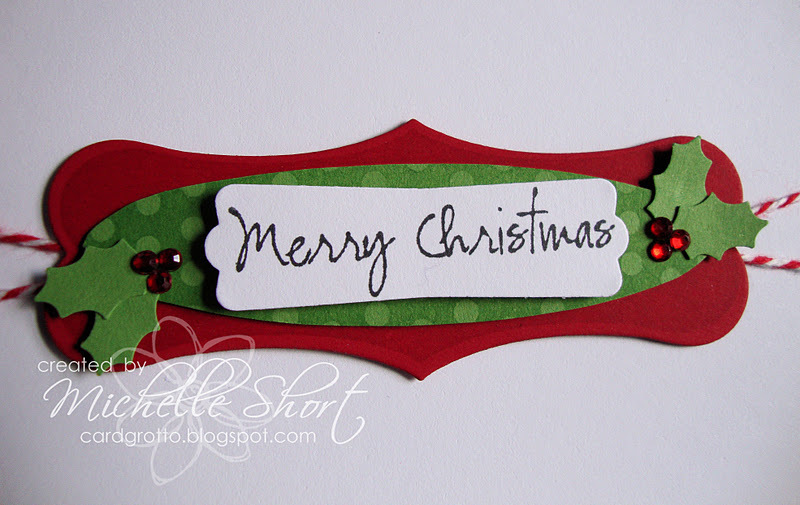 TOOLS: Papertrey Ink Dies, Stampin' Up! Punch, EK Success Punch, We R Memory Keepers Corner Chomper. EMBELLISHMENTS: Doodlebug Designs Doodle Twine, Papermania Adhesive Gems. Thanks for visiting me again today, I hope you have a great day!